Each year, it’s estimated that more than 2 million people from the United States go on a mission trip. But planning that trip can mean a lot of work for your church or organization! Preparing for a Successful Mission Trip: This 35-minute online course covers key topics such as preparations for mission trips. tips on packing, travel safety, and much more. Let your staff and volunteers know what to expect! Leading a Successful Mission Trip: This two-module, 45-minute course tackles the topics of mission trip leader responsibilities, raising funds, and managing expectations, among other things. Help them lead with confidence! You can train your staff more efficiently with consistent information for just $12 a course! Both courses are also available with a course bundle, which allows you to train several members of your church for one low price. Ready to learn ALL about planning and leading a successful mission trip? 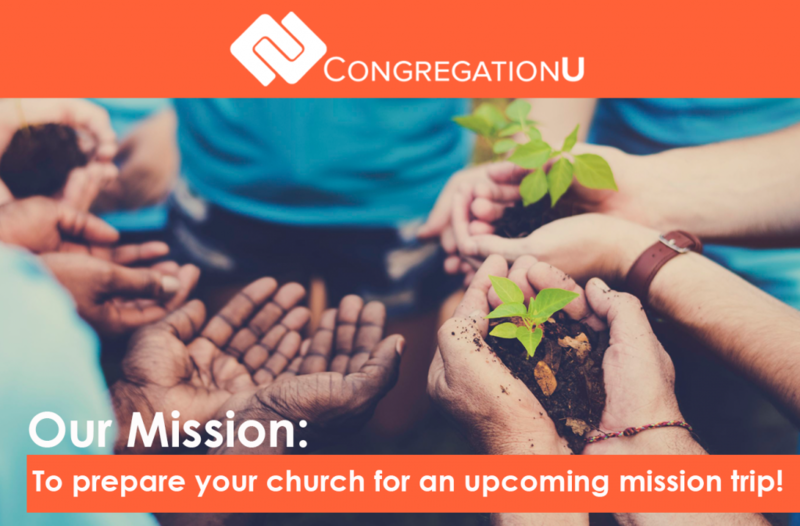 Contact us at info@congregationu.com or 866.862.5855.